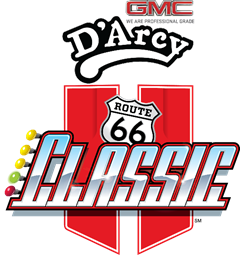 Calling all charitable partners, community members and local dignitaries: Route 66 Raceway announced today a new format for selecting participants for the D’Arcy Buick GMC Route 66 Classic Grudge matches. For the past three years, counties have clashed on the quarter mile during the Will County vs. Grundy County Grudge Matches. Historically, 12 political dignitaries, six from each county, have raced against each other in vehicles provided by D’Arcy Motors. Each official selected a nonprofit organization to benefit from their participation with the winner of the match collecting $2,000 for their selected charity and the runner-up winning $1,000 for theirs. Route 66 Raceway will raise the stakes in 2019 and use the Route 66 Classic Grudge Matches as an opportunity for local nonprofit agencies to fundraise in a number of ways. First off, a community representative can select an organization and race in the Grudge Matches on its behalf. Route 66 Raceway is offering this opportunity to 12 organizations to keep with past traditions. Leading up to his/her time on the dragstrip, the dignitary will be tasked with soliciting funds as Route 66 Raceway’s charitable entity and Donor Advised Fund of the NASCAR Foundation Racing Advocates for Community Enrichment (R.A.C.E.) will match dollar-for-dollar funds raised up to $2,000 for the winner of each match, and $1,000 for the runner-up. At the same time, participating organizations can sell tickets to the D’Arcy Buick GMC Route 66 Classic to volunteers, supporters, community members, etc. with a portion of each ticket sale ($5) going back to the selected organization. The organization that sells the most tickets will be rewarded with an extra pay out. Community members interested in participating should email their name, position, nonprofit organization affiliate, and why he/she should be picked to race in the Grudge Matches to PR@ChicagolandSpeedway.com by April 30, 2019. There is no cost for charitable partners to participate, but the participant and affiliated nonprofit organization are tasked with fundraising and selling tickets. This is the ultimate opportunity for charities to double their money while having a great time at the World Premier Drag Racing Facility. Organizations based in the Chicagoland area and have strong ties to youth, safe driving and the military are highly encouraged to apply. To purchase tickets to the D’Arcy Buick GMC Route 66 Classic, or any of the other 2019 Route 66 Raceway event, visit us online atwww.Route66Raceway.com, call 888-629-RACE, download the Route 66 Raceway mobile app, visit the Route 66 Raceway Administrative office or stop by the box office on the day of the event.